Let's get personal was the motto of this year's DOK INCUBATOR at the Leipziger Pfefermühle. And the presentation was full with people who came to see the nine selected documentaries. 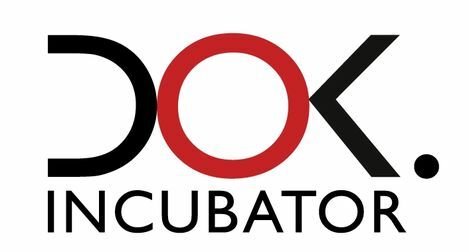 A fine initiate witch started by Andrea Prenghyova, the creator of the DOK.Incubator in collaboration with DOK Leipzig three years ago..
Dok Incubator is a course that runs for three weeks, during half a year, where you apply with a rough cut. They work with the teams of director, editor and Producer, with their films, to improve their film and work with the producers and teams to learn how to do international financing and distribution. They also work with the films to make them more international as well. Director and editor has cooperation with big european editors to improve the films. The course is held in different European cities. It is a media supported program like EAVE, but just for documentaries in post production. 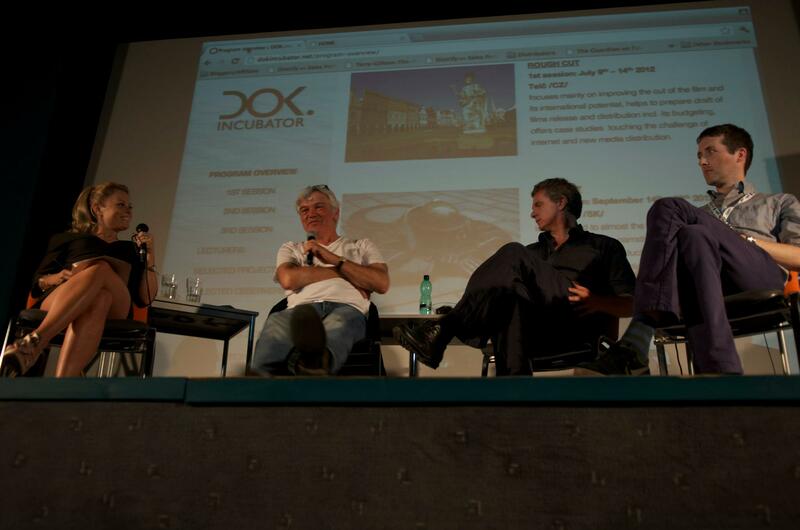 Claas Danielsen, the DOK Leipzig Director, together with Andrea Prenghyova – creator of the DOK.Incubator, journalist, film maker, documentary film producer and founder of Institute of Documentary Prague, and Ilo von Seckendorff. There are over 4000 festivals in the world! At the Dok talks of Dok Leipzig we had the possibility to get to know – hear little more about, Krakow Film Festival, the Docu Festival in Kosovo, the Moscow Film Festival, Dok Outlook International Market, Cinema Du reel in Paris, Sheffield Doc Fest, Bratislava Doc festival, CineDoc in Athens, Tempo Documentary Festival in Stockholm Sweden and Chopshots Documentary Film Festival held in April in Jakarta, Indonesia. The Krakow Film Festival was founded in 1961. It is held end of May-beginning of June, after Cannes and before Sheffield, and has a new exiting category: Music Docs! This year they also have a special country tribute to Britain. They are looking for author-driven docs; the stories should be universal, and the premiers must take place in Poland. Breaking borders. They submission begins on Friday 1st November and ends in March. The Kosovo doc festival made it into to create cine clubs in highshools and schools and they hold a program called Future is here. This aim is to help students up to 25 years to try to produce short docs in 7 days. Moscow has a very popular and successful Film Festival with a small doc section. And they have created a strand in television for their films. in Nyon, Switzerland, focus on director-driven films with an emphasis on cinematographic language and is held in the end of April. Next year they have a special on Tunisia. The festival is a Doc Alliance member and has a very strong market. is a festival held at the Centre Pompidou, in Paris. All topics are fine with them, as long as the film has an author point of view, is director-driven, with a signature, or follows the rules of cinéma vérité. They don’t have a market but next year they will organize special screenings for professionals. Deadline for submissions: March 20-30. Sheffield Doc Fest is a big and important documentary festival in Britain. They have 20.000 visitors and the festival is held in June. There are screenings, a market and a conference. Submissions are online until 25/1. They have several awards; one of them is the Green award. They care about topical stories with a strong point of view. Their Meet Market is a one-to-one meeting place where 65 projects are pitched to the 300 decision makers. Sheffield makes a lot of matchmaking work! There is also a cross-platform program where new formats and hybrid interactive docs find their place. They cooperate with the documentary campus. Hint: don't miss their parties – especially the roller disco! Are you looking for a festival? Check out filmfestivallife.com! They have 800 festivals listed and counting. And they do a great job helping directors not only to find the right festival, but also to apply easily. See also my post Festivalitis. sales agency, Deckert Distribution, and achieve international distribution. IDFA, CPH:DOX and they participate soon in MoMA´s Documentary Fortnight. DEADLINE for the 2013 edition is March 5th.